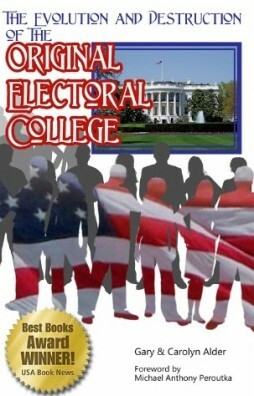 titled Electors, to nominate the best candidates for president. Each state shall appoint, in such manner as the Legislature thereof may direct specifies that the method of appointing the presidential Electors was entirely left up to the discretion of the legislature of each state. Congress was not to regulate, control, or influence the appointment of presidential Electors. This power was the prerogative of the states. The appointments could be made directly by the legislature of each state; or each legislature could designate how the people of their state could participate in appointing the Electors. By recognizing and deferring to the competence of the states, the principle of Constitutional Federalism was maintained. that set the dates for the selection of presidential Electors and the date they would meet in their separate states to perform their duty. In exercising their prerogatives to appoint presidential Electors, the several states devised various combinations of legislative appointment and election by the people. Each state designed its own method. A few examples of how the states chose their Electors in 1789 follow. In 1789 the Electors were to be appointed on January 7th (first Wednesday) and the Electors were to meet in their respective states on February 4th (first Wednesday). On December 18, 1788, the people in each of the eight congressional districts “elected” (or essentially nominated) two Elector-candidates. On January 7, 1789, the state legislature (called the General Court) appointed one of the two Elector-candidates for each district. The General Court also appointed the commonwealth’s two remaining (at-large) presidential Electors. appointed the seven presidential Electors allotted to the state. so on January 7, 1789, the legislature (General Court) appointed the Electors from the top ten candidates. As the state legislatures experimented with the appointment process in subsequent elections, they modified their procedures. In 1792 there were 15 states. The legislatures of 9 states appointed the Electors. In 1796 there were 16 states. The legislatures of 9 states appointed the Electors that year also. However, by 1836 all of the then 24 states, except South Carolina, had evolved to “appointment by the people” as the method. “Appointment by the people” did not mean all the people. The elective franchise was restricted to those who qualified. Each state determined its own voter qualifications.